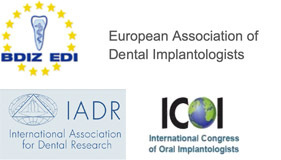 Why pay £2000 for the tooth implant in the UK while you can spend at least £1000 less in Poland? Get a full Smile Makeover with a new set of crowns or veneers. Prices start from £190 each. Fixed and permanent full mouth reconstruction on 4 dental implants. Save £8000 to English costs! Polish My Smile organises fully-escorted and money-saving dental holidays to Krakow. Our team of travel professionals and certified dentists in Poland do everything to make sure you'll get the high quality, affordable dental treatment and have a great holiday at the same time. We do have solid experience in dental tourism - since 2007 we've helped more than 4000 Britons to restore their smiles abroad. Cosmetic and implant dentistry can be very expensive and many people can not afford to have dental implants, veneers or porcelain crowns. However, there are places in Europe - Poland being one of the most popular destinations – where you can get high-quality dental services from a qualified dentist for a fraction of the price you would have to pay in the UK. The location of our private dental centre in Poland allows us to be up to 70% cheaper than British surgeries. It means you can save thousands of pounds on most treatments like implants or bridges, even after travel costs are included.